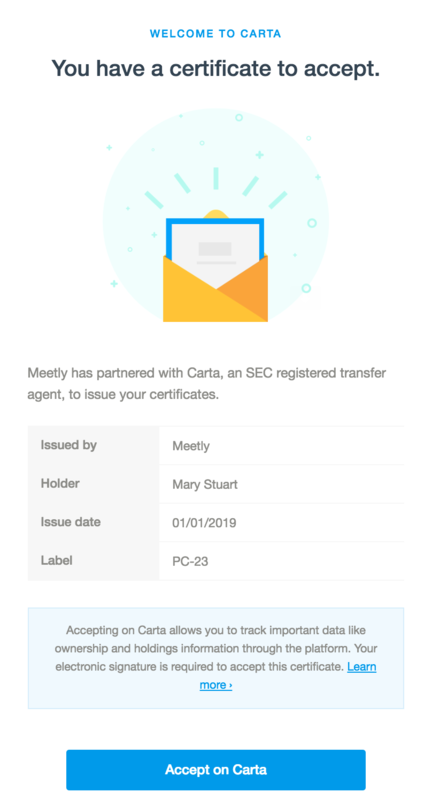 When a company issues you a Certificate, you will receive an email notification that includes the certificate number in the subject line. 1. If you do not have an active Carta account, complete the registration page. 2. Once the registration is complete and your account is created, you will be prompted to the tasks page. Use the green "Accept" button to accept your securities. 3. 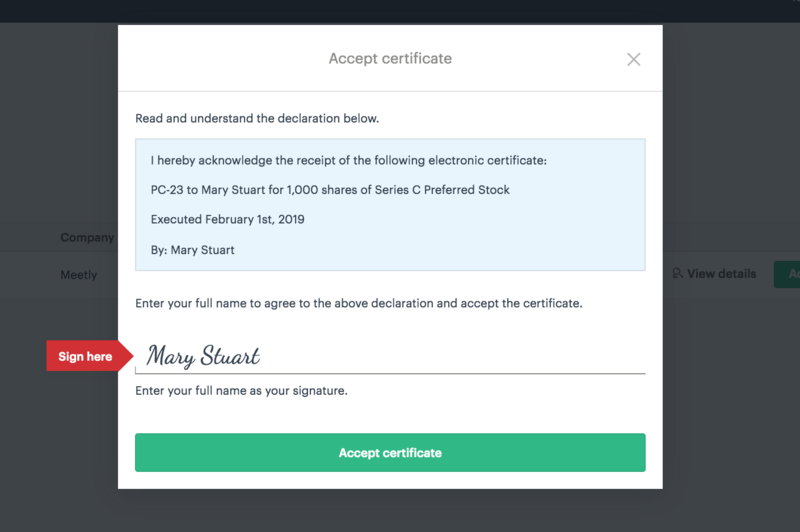 Type your signature in the popup. 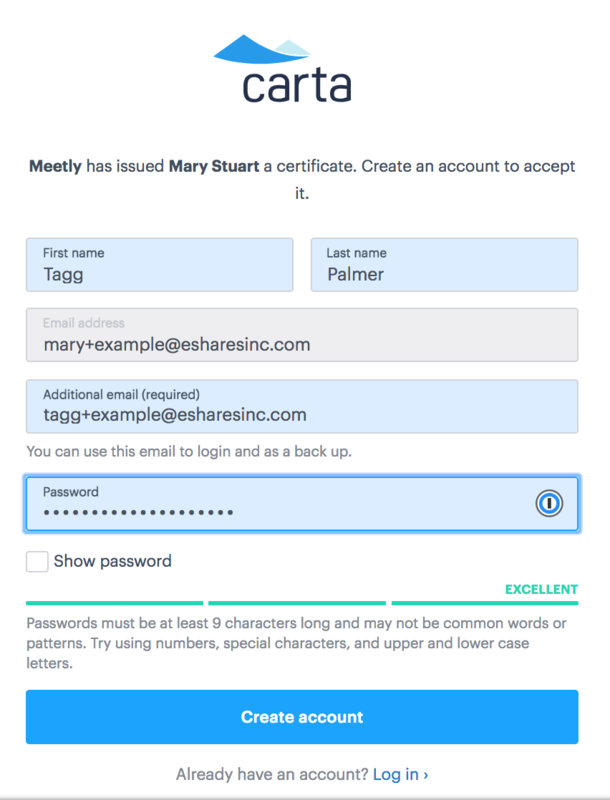 If your signature is already in the system, enter it and then click 'Accept Certificate'.